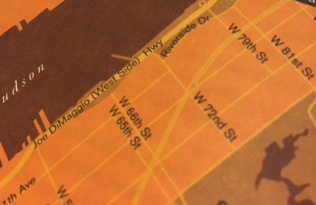 This week our Nonstop Metropolis subway campaign launched, and we need your eyes to help us locate the eye-catching ads within the MTA system. 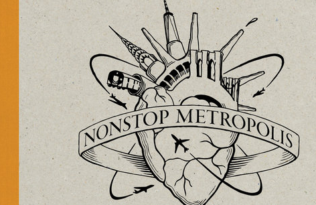 We invite you to share your photos and tag UC Press* using the hashtag #NonstopMetropolis. 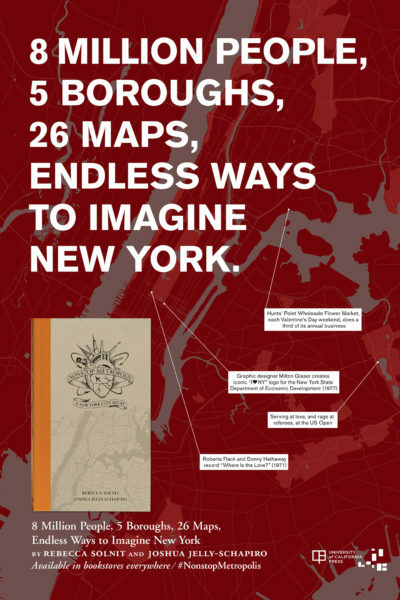 By doing so, you’ll be entered to win a random drawing for a full set of the atlas trilogy: Infinite City: A San Francisco Atlas, Unfathomable City: A New Orleans Atlas, and Nonstop Metropolis: A New York City Atlas (one winner). 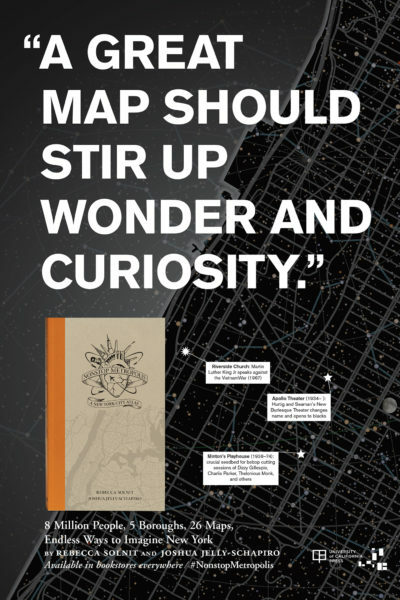 Additionally, five lucky winners will be sent a set of map broadsides produced for the special exhibition at the Queens Museum. 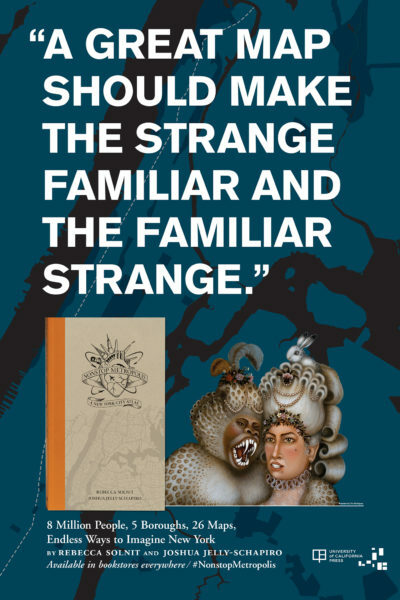 Be on the lookout for both platform and in-car #NonstopMetropolis placements! Bonus appreciation points if you tag or name the station where you saw platform ads. We look forward to seeing you on the subway! 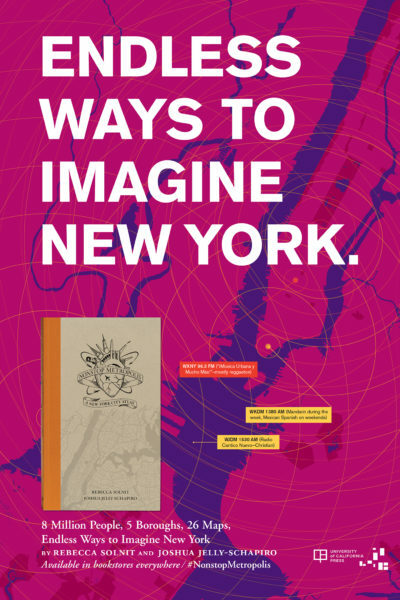 Mapping the Metropolis: City of Women Last-Minute Gift Idea: See New York in Dozens of New Ways More Stories from the Metropolis—and Beyond Mapping the Metropolis: Riot!